Twenty years later, we have actually reached a Crossroads. Where will our Greyhound world go from here? We went straight there to find the neighbor who I knew sometimes worked at the kennels in Florida. I had never been though and had no knowledge or experience with them. She told me to come in and meet King. To this day I regret not knowing his full name but he was a tall, handsome white and brindle male. She explained that she had come up for the weekend with a dog truck full of dogs that were supposed to be put to sleep in Florida. Instead she drove them all the way to SC the night before to give them all away. I had to have one! She offered to pick us out one from the next load. True to her word, the next month she brought three for us to pick from. They were littermates but had come from a different kennel who was a friend of hers. She sent them to us in the hopes we would fall in love and keep all three. Of course that’s what happened as she knew it would. Those dogs, just babies really at only 18 months old, were CPF racers- Sissy Boo, Carla, and Little B. There were no groups back then in our area. We learned by ourselves and basically cared for them in a combination of the country upbringing I had and the kennel tips and tricks Jo taught us. We made mistakes but knew right away that these dogs were different than anything I had ever come across. To the day they passed away, those three greeted Jo every single time with the same “oh my gosh where have you BEEN?? ?” enthusiasm. Several years later, I began telling her that I wanted to help other people have the incredible experience we were blessed with. Greyhound Crossroads was born in our living room with only Jo as a helper. She would bring us a van full of dogs from trainers that were very happy to have an option for their dogs. They began to invite me to their kennels to pick up and visit. We became friends with those people who worked day in and day out with their racers and knew more than I ever would about how to care for them. Gradually word spread, volunteers came, and dogs went home. We learned a lot, grew and grew some more, and have now passed our 20 year anniversary. Two decades of dedicated volunteers making the best matches they can for this dog we love. I was there and know to the day when I experienced that truck full of dogs that were supposed to be PTS. I say that not to point a finger at the bad things, but to say I WAS THERE. 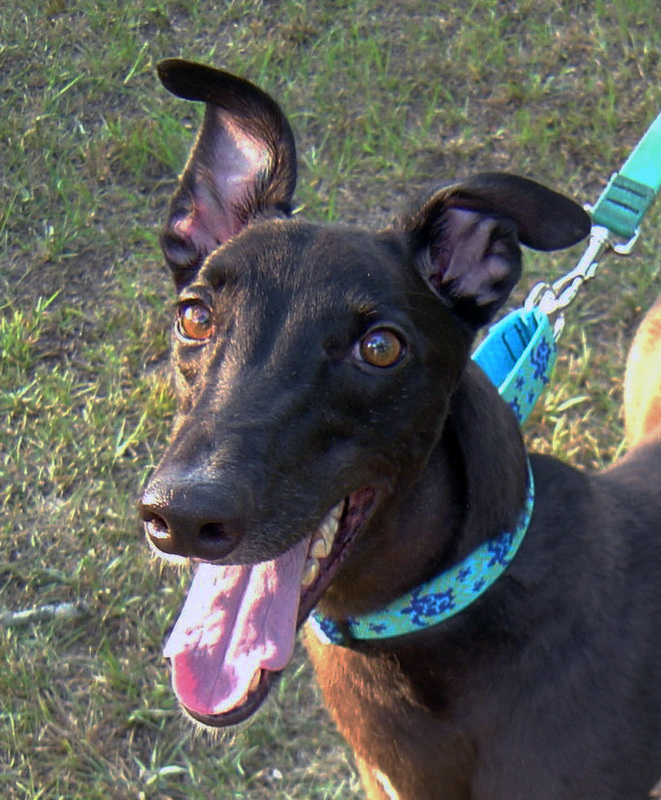 Most of the people reading these posts don’t remember a day before we used the internet to spread the good word about greyhounds. Most of them don’t know what it’s like to give a dedicated race trainer an option to rehome those dogs. There was a day when we didn’t have adoption groups because they didn’t know it could be done. Didn’t know people would want their dogs. Hadn’t seen the light of what working together could do. That was 25 years ago! Not today, not now, not again. But here’s the real point of my testimony. I was never anti-Racing even though my family and friends will tell you I’m a constant advocate for the environment, wildlife and animal care. What I saw from the very first dog was not an abused, beaten, neglected animal. I saw a dog that loved people for a reason, but that those people who had loved it in return needed help. They needed a way to save those dogs and give them a new start. They wanted, in so many ways, assistance in finding a new way. The adoption community gave them that. We did it together, by working with them not against them. We opened their eyes and gave them a new way. And the world changed. I have never hidden the fact that I am pro-racing but against abuse. Yes indeed there were bad people in the industry but that is true literally in every industry in the world. If you hurt dogs I am against you. If you give your life to raising, training, and protecting these athletes, I am behind you all the way. YOU are my life’s work even though I make my living doing another job. From the beginning Greyhound Crossroads preached the positive message. We have never used the word rescue unless it really was a rescue- a dog we saved from death. Since those earliest days way back in 1993 when we began to change the world, the worst rescue cases I’ve seen were from adopters and owners. Never from kennels or farms. Our world that we worked so hard to help is in danger of dying. So many people will be hurt if Prop 13 passes that it makes my heart ache. 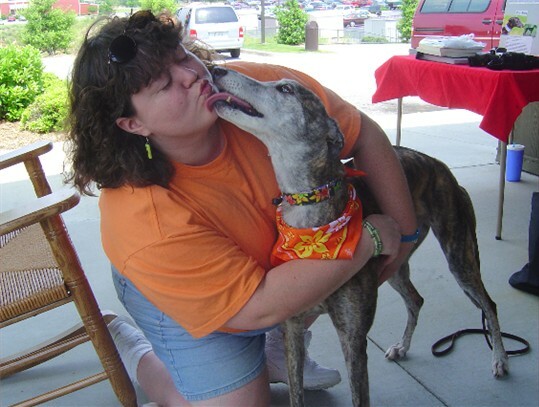 I can’t imagine my life without these greyhounds, and their people, and their amazing contributions. Make no mistake, if racing dies this dog we have adored will die with it. No amount of breeding or empty promises will be able to bring that same set of experiences back for dogs born outside of an active industry. And no number of empty assurances can replace the livelihood which sustains the people who have devoted their lives and provided for their families. What a terrible, profound loss that would be indeed. The memories above were shared last week with a Facebook group asking for personal testimonies on our history and position on Greyhound Racing. For many, many years, our organization has taken a public stand of "racing neutral" in order to remain a drama-free and impartial "Switzerland" where people on both sides of the issue would feel welcome. Why are we suddenly stating our position in a different way? There is a political agenda being pushed in Florida right now funded by a group in northern states to end the supposed abuse they say is occurring by the very fact that greyhounds are raced. If that amendment to the constitution passes, racing will become illegal in Florida and our supply of available dogs will effectively end. The views stated here are my own, and reflect the personal feelings of the GC Core Group as well. We do NOT advocate how Florida residents use their civic duty to vote. We DO, however, encourage everyone, everywhere, in the Greyhound community to do your own research. Take the time to see for yourself what is the truth. Don't blindly line the personal pockets of those who don't care about you at all. Instead, listen to what your heart and experience tell you from those you trust and then make the best decisions you can. The real truth is lying right there in your living room waiting for you. Now is the time to be available to all of you reading this page. Anyone with questions about the racing industry are more than welcome to email me directly. I will answer you honestly and truthfully, and if I don't know the facts I will find them for both of us. There's noting to hide. I'm here for you, and happy to discuss anything you want to know. My email address is kim@greyhoundcrossroads.com. I look forward to hearing for you.